YOU create your own scholarship luck. We’ve highlighted great scholarship opportunities for you to test your luck, show off your talents and, hopefully, help you win a scholarship! Are you ready to get lucky? It doesn’t just take luck, though, it take effort in the forms of applications, essays, videos and more. Remember, the more you apply, the better your chances that your scholarship luck will change. We’ve highlighted great scholarship opportunities for you to test your luck, show off your talents and, hopefully, win a scholarship! Award Amount: $1,000 Each new school year is an opportunity for a fresh start, so we're giving away a $1,000 scholarship to help kickoff the new school year. Learn more about the $1,000 March Scholarship. Award Amount: $1,000 This St. Patrick’s Day, wouldn’t it be wonderful if you could catch a leprechaun or find the pot o’gold at the end of the rainbow to help pay for college? Stranger things have happened, but most of us no longer live in the fantasy world. What a bummer! Mythical creatures and fairytales provide a much needed escape from reality. That’s why we want you to spin your best St. Patrick’s Day tale for the chance to win a $1,000 scholarship. May the luck of the Irish will be with you! Learn more about the St. Patrick’s Day Scholarship. Award Amount: $10,000 Opinion Outpost has a $40,000 year-long cash give away! Every quarter a winner will receive $10,000! Each time you take a survey you receive an entry into that quarterly prize draw. The more you participate, the more likely you are to win! In addition to the quarterly prize draw, earning cash and rewards for taking surveys is one of the biggest perks of joining Opinion Outpost. You can redeem your points for Amazon.com Gift Card* Claim Codes, iTunes* Gift Cards, or if you believe cash is king, for money using our PayPal redemption method. It’s safe, secure, and a popular option for many Opinion Outpost members! Learn more about the Opinion Outpost $10,000 Prize Drawing. Award Amount: $2,000 We know you are busy and we know that times are tough. That is why we decided to create the easiest possible scholarship to give something back to students. Students can use the money to help cover tuition, housing, meal plans, books, computers, or any education-related expenses. The scholarship is open to all high school and college students and those planning to enroll in the next 12 months. Learn more about the $2,000 Niche No Essay Scholarship. You could win a $5,000 scholarship by providing daily essentials (like toothbrushes, toothpaste, soap, and nonperishable foods) to a local homeless shelter. Snap a picture of you and the items you are donating and you’ll enter to win a $5,000 scholarship! Get more information on the $5,000 Easy Scholarship: Collect Items for a Homeless Shelter. Award Amount: $500 The $500 “Because College is Expensive” Scholarship is open to students in their junior or senior year in high school, current undergrads and grad students, as well as those planning on enrolling within 12 months. The winner will be determined by random drawing and then contacted directly and announced on the Scholarship Winners page. One entry per person is all that is necessary. Learn more about the Because College is Expensive Scholarship. 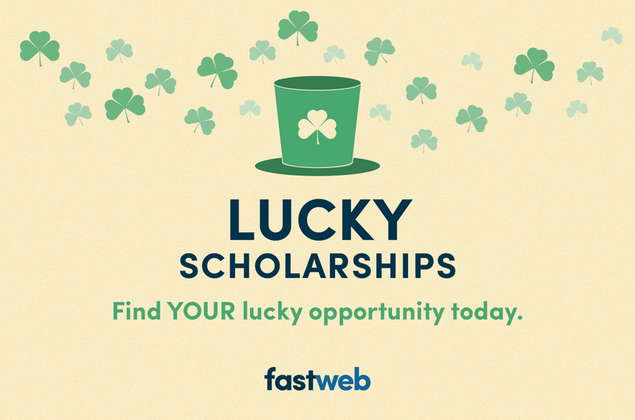 Award Amount: $500 The Fastweb Invite a Friend Sweepstakes is open to registered Fastweb members who are legal residents of the 50 United States and the District of Columbia, and who are at least thirteen (13) years of age. You must log into your Fastweb account to obtain your personal referral link. For each person who registers for Fastweb via your personal referral link during the Promotion Period, you and your referral will entered as a pair into the monthly drawing. Get more information on the Fastweb Invite a Friend Sweepstakes. Award Amount: $1,000 The Feldco Scholarship is available to current and prospective college students. To be considered, you must submit a 700 - to 1000 - word essay on the following topic: "How has your family contributed to who you are today?" Learn more about the Feldco Scholarship. Award Amount: $1,500 The Digital Privacy Scholarship is available to high school, undergraduate, and graduate students. You must be U.S. citizen or legal resident and submit a brief message about digital privacy to qualify for this award. Learn more about the Digital Privacy Scholarship. Award Amount: $500 The Andrew Flusche Scholarship Contest is available to high school seniors and students currently enrolled in a college or university. You must create a public service advertisement video (PSA) which portrays the correct way of interacting with a police officer during a traffic stop, or any other encounter, to qualify for this award. The video must be uploaded to YouTube and be no longer than three minutes long. Learn more about the Andrew Flusche Scholarship Contest. Award Amount: $1,000 The Don't Text and Drive Scholarship is available to high school, undergraduate or graduate students. You must be U.S. citizen or legal resident and complete a short statement on why you pledge not to text and drive in order to qualify for this award. Learn more about the Don’t Text and Drive Scholarship.